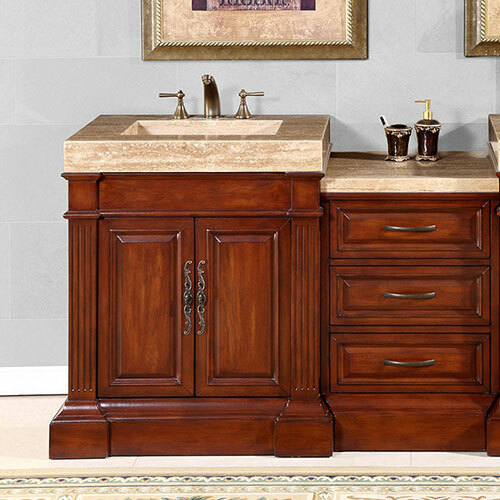 The Rutilius Single Bath Vanity combines the elegance of Travertine with a Cherry finished cabinet to give you a vanity that will quickly become the centerpiece of your bathroom. 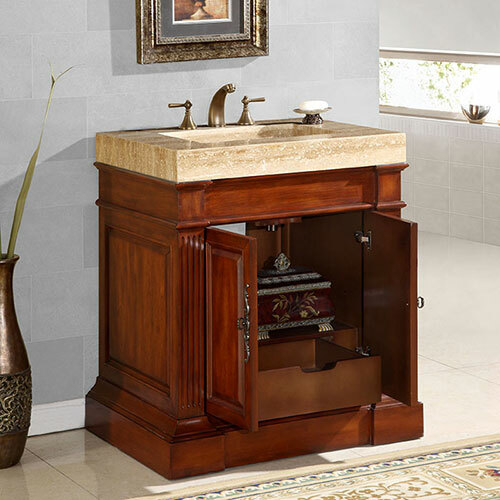 The cabinet features a simple traditional design and offers a double-door cabinet adorned with Antique brass hardware, opening to reveal a large storage space. 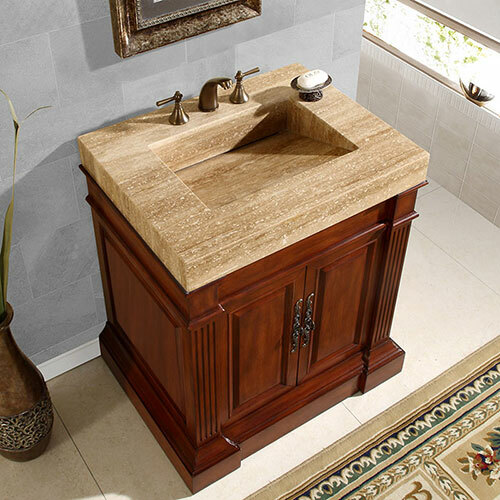 The top is made from Travertine Stone with an integrated sink. To make installation easy, a large cutout in the back is made and the top comes pre-drilled with three faucet holes in a standard 8" spread. 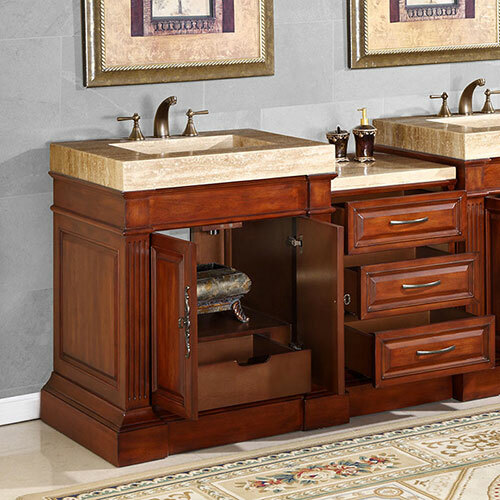 Faucets are sold separately.